I get a lot of questions about how to get kids to eat a healthy diet, and while this was initially a battle for our family as well, I figured out some “food rules” along the way that helped with their adjustment. We now have (mostly) non-picky eaters, which I attribute to the attitude we present about food. In general, I’ve found that many parents assume that kids won’t eat or won’t like certain foods, even if the children themselves have never complained (or even tried a certain food before!). There is a perception that foods like chicken nuggets, sandwiches, and pre-packaged kid-sized snacks are the foods of choice for kids, and we (as parents) are hesitant to introduce foods that we fear they won’t like. I’ve also found that the attitude we teach about food is as important as the food choices we offer. In the times I’ve visited other countries, there is a difference in how children ask for, eat, and behave in food related situations. While I certainly think that the type of foods we market to and prepare for our children needs to change, I think it is also important to change the way our kids think about food as well. To this end, I pulled some ideas from my mom’s French background (after noticing that her family was naturally thin, not picky and ate a wide variety of foods). We’ve incorporated these ideas with our own children, and the difference has been astounding. I call these “Food Rules” though the name is slightly mis-leading. I think that while we certainly must have guidelines about how children act in food related situations, these “rules” should be taught by example and practice rather than iron fist (or wooden spoon). In our house, children (and adults) are not allowed to complain about food. This doesn’t mean that they are forced to eat at every meal, just that negative talk about food is not permitted. Food is first for nourishment, and this is an important thing to teach children. Additionally, complaining about food is both rude to the cook and shows a closed-minded attitude. How we handle it: No one is ever forced to eat if truly not hungry (see below) but everyone must sit and participate in meal times with a positive attitude. Those who insist on a negative attitude are dismissed for bedtime. Especially with multiple kids, a negative mentality about a certain food spreads quickly and is hard to un-do, so it is better to head this off completely! Food is first provided for nourishment, not entertainment or emotional reward. For this reason, we try (not always perfectly) not to bribe with food or offer food as rewards for good behavior. I even try not to make certain foods a big deal on birthdays or other occasions, as we try to focus on experiences instead. (i.e. instead of a birthday cake and sugary snacks, we might take a family trip to the zoo or other fun place for a birthday). In the same way, I don’t ever present foods as a punishment or associate them with punishment (i.e. “You have to eat your asparagus or you are getting spanked.”) While children can’t complain about food (see above), it is the negative attitude that is disciplined, not the action relating to food. I’ve seen in many children (and even to some degree in myself at times) an emotional connection to a certain food, or a desire to eat certain foods in emotional situations. While the types of foods we provide is certainly important, it is also important to avoid creating an association between foods (especially unhealthy ones) and happy times or fond memories. I’d personally much rather those fond memories be connected to family time and experiences anyway! How we handle it: While we do, of course sometimes have treats, they are only given when I make them. We don’t use them as a bribe, kids don’t earn them through good behavior or good grades, and we don’t withhold them if children misbehave. I think that the trend of eating on-the-go and in isolation (while watching TV, etc) has contributed to the negative attitudes children have about food. For this reason, we make a sincere effort to eat meals (especially breakfast and dinner) as a family when at all possible and to make this an enjoyable time. The advantages are that meal times (hopefully) provide an enjoyable time for conversation and bonding with the children, which also facilitates slower and more mindful eating. In our house, the whole family also eats the same thing at each meal. Children don’t get special “kid-friendly” foods and as soon as little ones can eat solids, they get tiny pieces of what the rest of us are eating. The family atmosphere helps encourage children to eat what is served, and helps avoid food battles. If a food is unusual or a new food for us, we don’t make a big deal about it (by not saying anything about it) and just present it to the kids with a positive attitude and assume that they will eat it. I’ve seen my husband choke down liver with a poker face (poor guy!) and the kids eat it readily because they have no idea that they shouldn’t like it. How we handle it: Meal time is family time and outside activities are rarely allowed to interfere. Everyone eats the same thing and eats it with a positive attitude (though if a person is truly not hungry, he or she may just sit there after tasting the food and enjoy the conversation). 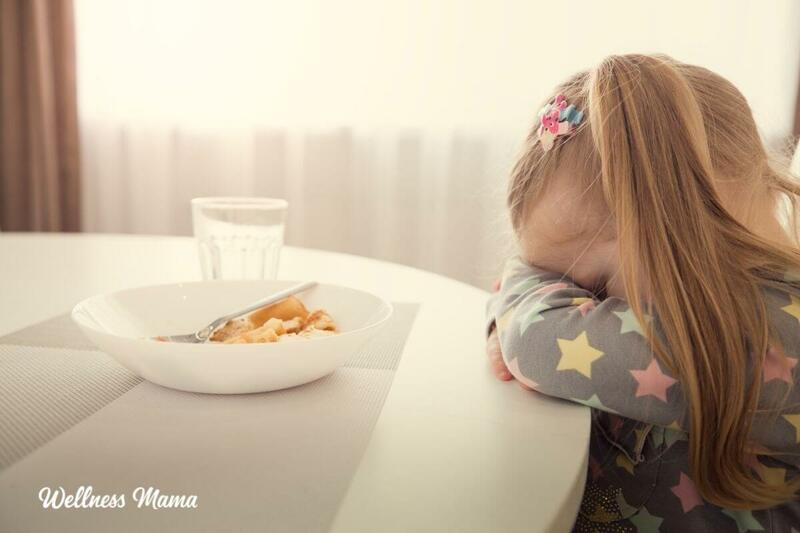 In the rare cases that children don’t have a good attitude at meal times, they are excused to their rooms. In the same way, we don’t often snack so that everyone is ready to eat at meal times (though children do occasionally get healthy snacks if there will be longer than normal times between meals). 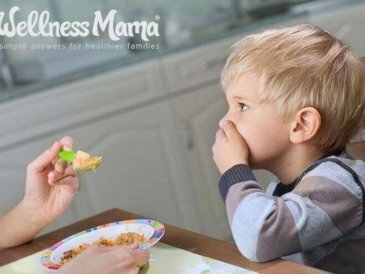 To help facilitate a non-picky palate in kids, they get one small bite of each food being served at a given meal (one green bean, one bite of sweet potatoes and a piece of chicken). When they finish one bite of each, they can request more of any food. When children don’t like a food or request it when asking for more, we just explain that it is ok as long as they always are willing to try it and explain that one day (when they are grown up) they will like the food. Dislike of foods is not set in stone so we don’t force feed huge amounts of foods that they don’t necessarily like, but we set the expectation that they keep trying those foods until they do. How we handle it: Just as negative comments about food are not allowed, we try to promote a positive attitude about new foods by presenting them in manageable (one bite) amounts and giving the expectation that they will learn to enjoy all foods one day. I’ve worked with clients who have completely lost a natural sense of hunger due to constant access to foods and eating on the go. It is perfectly normal (and expected) to be hungry before meal times and hunger is never an excuse for negative attitudes about food or eating junk food. Normal hunger at meal times encourages kids to eat whatever is served and to eat enough to avoid being hungry too much in advance of the next meal. At the same time, a child who complains and is excused from the dinner table for bedtime quickly learns to have a more positive attitude (it has never taken one of our kids more than two nights total of missing family dinner to find an improved attitude). How we handle it: We don’t let hunger be an excuse for unhealthy eating or bad attitude. We don’t often offer snacks as children who are at least slightly hungry tend to be happier and more adventurous eaters at meal times. Now for a few details on the actual types of foods we eat and why. I noticed that my mom (and the French in general) spend more time eating a smaller amount of higher quality food. They enjoy it more and obsess about it less (in general). To help make all of the above “rules” easier to implement, I focus on cooking nutrient dense, rich foods, from scratch each day. We incorporate bone broth, homemade pate, raw cheeses, homemade sauces (that contain butter or cream), eggs and egg based foods like hollandaise sauce on a daily basis. Not only are kids less hungry after an omelet filled with meat and veggies and topped with hollandaise, but they are more nourished and have received a boost of beneficial fats (as opposed to what they get from a bowl of cereal). When possible, we let the kids help shop for or prepare the meals and I always make an effort to explain why certain types of food are more nutrient dense and how they benefit the body. 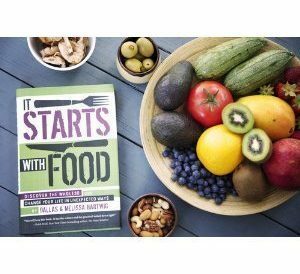 How we handle it: I cook from scratch every day, which is more time consuming that throwing a sandwich together, but it is worth it to me to help my kids learn a healthy attitude toward food. I also try to get our kids involved by helping out in the kitchen with some easy recipes, and this was made much easier after they took this online kids cooking course. I’ve also heard positive things about the book “French Kids Eat Everything” and while I haven’t read it myself, many friends have told me that she promotes a similar attitude about food and eating. 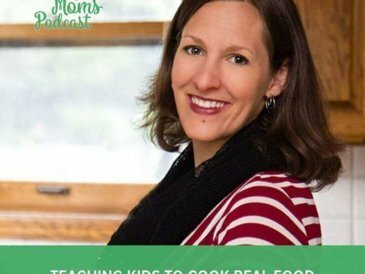 How do you handle food with your children? Is it a battle or are your kids adventurous eaters? Share your tips below!